Crossing over the footbridge from England you are transported to the banks of the Seine. The waterfront is dotted with charming flower carts and street artists ready to sketch your portrait. The architecture moves you back in time just over 100 years to the classic period in history known as La Belle Epoque. This beautiful little pavilion offers a charming range of excellent dining experiences, indulgent wines, and a fantastic view of IllumiNations: Reflections of Earth. 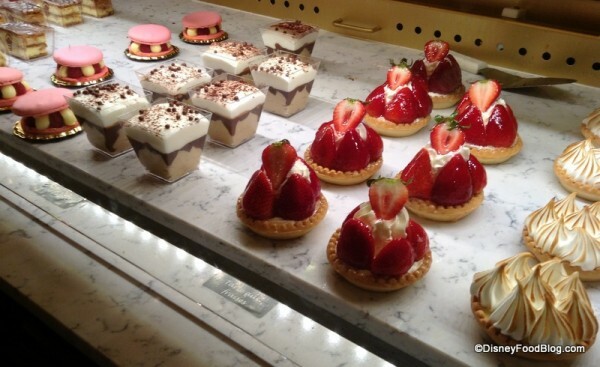 Start off by heading to Les Halles for a small bite to eat. Decadent pastries, sumptuous cheeses, and full bodied wines are waiting to be sipped and savored by guests looking for a laid back or "to go" dinner experience (you can also find a wonderful selection of croissant, quiche, and salads or try a classic Croque Monsieur.) Chocolate mousse and glass of champagne enjoyed at one of the small bistro tables tucked into the passageways is a fantastic way to start off the night. If you need to cool off from the sultry summer night you can finish your meal with a special treat from L'Artisan des Glaces. Once done you may want to stroll through the delightful array of shops featuring designer fragrances, soaps, cosmetics, wines, cdinnerware and kitchen accessories all imported from France. The Classic Perfume Houses of France are well represented as you shop and stroll. Next visit Impressions de France the panoramic movie that takes you of a tip to France's greatest cities and historical structures. The stirring film includes stirring music and magnificent views of the French countryside. As you exit you'll find even more delightful shops to browse. 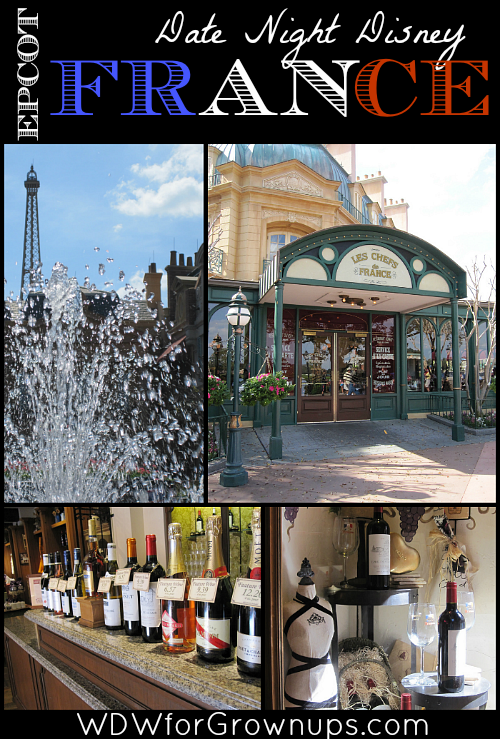 For dinner in the most romantic city of all, Epcot's pavilion offers two elegant choices, Les Chefs de France offers a lovely and authentic casual french dining experience. To make a memory that you'll never forget I recommend the upscale Monsieur Paul Restaurant on the second floor perched above Les Chefs de France. This restaurant is truly a gourmet dinner serving favorites such as filet mignon, escargot, duck breast, la barre au chocolat. If you time your meal right as you walk out the door you may be treated to the spectacular light show of IllumiNations from the shore. Each night at 9:00pm this Epcot tradition washes World Showcase in a moving display of light and sound. The perfect end to a romantic evening in Paris and perfect Disney date night. 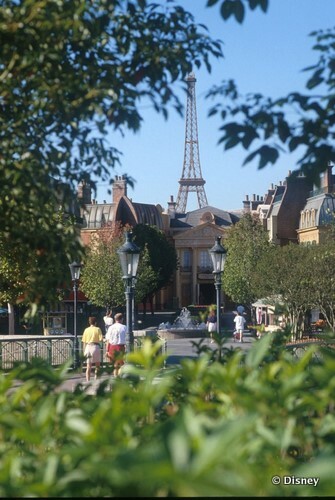 What do you find most romantic about the French Pavilion? Is it the indulgent foods and sumptuous wine? Do you love the impressionistic look of the garden? Or is the most romantic part the twinkling lights reflecting off of the water? Leave me a comment below and tell me how France has made magic for you and your love. It is a very beautiful place. I hope to visit there often and actually do. The Wine and Food Festival there is definitely something to check out and enjoy. Glad you enjoyed it and hope you can return. EPCOT has many great "countries" to experience this in realtime and this couple loved their time there and shared the most awesome story about it all. There could be nothing better than to find love at Epcot. I can only amagine how great that could be to know you both love WDW the same and as a grownup (older person). That would be my dream come true. What a great suggestion! I love date night here when I'm in the World, and I think most people don't slow down to fully appreciate all of its nooks and crannies. 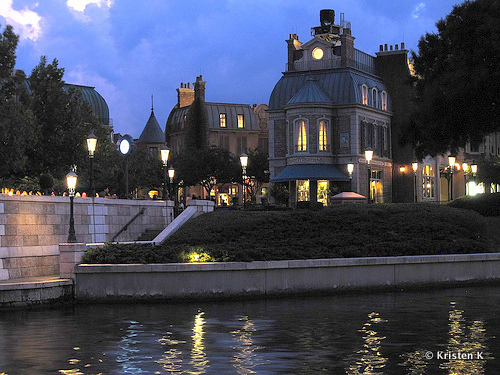 I think i may propose to my boyfriend in Epcot France when we go there in December. His favorite place besides disney is Paris, and i think this will be a wonderful idea, especially if i can get an artist to draw us during the proposal!